After Boracay, the next stop in my journey was Palawan, an island on the western edge of the country. Despite being only an hour or so away from Manila by plane, Palawan feels remote from the rest of the Philippines, and parts of it are actually closer to Malaysia. The geology is markedly different as well — mountains tower over the seas and limestone karsts scrape the sky. 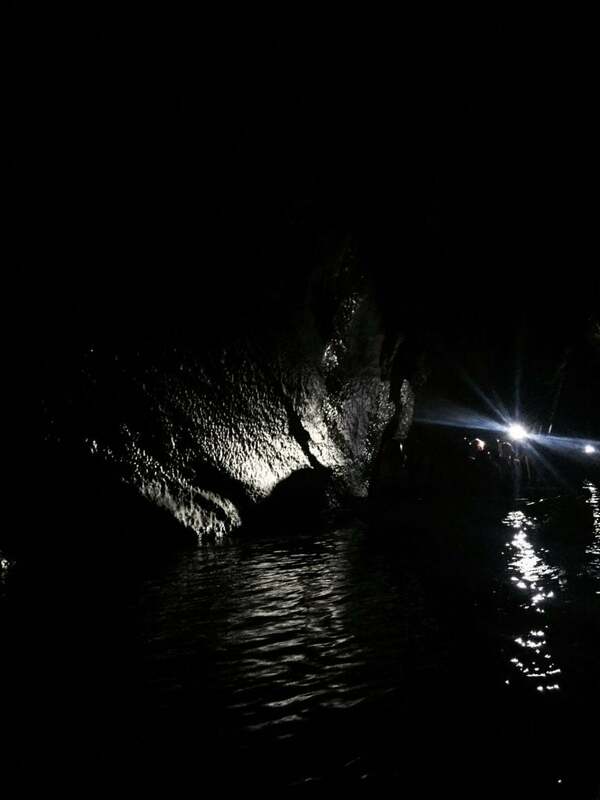 The Underground River in Puerto Princesa, Palawan. After landing in Puerto Princesa, we drove to a small village called Sabang, our home for the next three days. We arrived relatively late in the day, so we went night swimming in the pool and ordered food from the hotel — after a long day of traveling, nothing was better than a huge serving (or two) of rice and sinigang, sour soup. Our first full day in Palawan was action-packed. We first visited the Underground River, one of the New7Wonders of Nature and a UNESCO World Heritage Site. From Sabang, we took a motorized banca a short distance away to the entrance of the national park. To visit the river, everyone dons lifejackets and helmets and waits in a long line until a group is called. That group then piles two-by-two into a small rowboat, headed by a local boatman. As the boat neared the entrance of the cave, the sound of flapping bat wings grew louder and louder. The smell also starts to hit riders or, in the case of my brother, it literally hit — a bat pooped on his leg before we even entered the cave, something he still talks about to this day. We rowed about two miles in, though the river stretches for another three. The actual cave itself is very, very dark — natural light doesn’t trickle in from anywhere. It’s also quite claustrophobic in places, since we rowed through narrow passages. I remember keeping my head ducked, partly because of the bats, but partly because it was terrifying knowing there was hundreds of pounds of limestone just above my head. But, the effect was beautiful, like being in a real-life Disneyland attraction. Lamplight danced against the smooth ridges of the cave walls and reflected against the black waters. Huge stalagmites and stalactites fell from the ceiling or erupted from the ground. At one point, we entered a cavern with high ceilings, the darkest point in the cave, and our boatman turned off the light for a moment. We were surrendered into total darkness, the peaceful drip of water above our only companion. Upon returning to Sabang, I slurped down some buko juice out of a coconut before our second adventure of the day: ziplining. We drove to the bottom of a mountain and hiked the 20-minute trek up, through the lush jungle. They strapped all of us into harnesses, and I volunteered to go first. 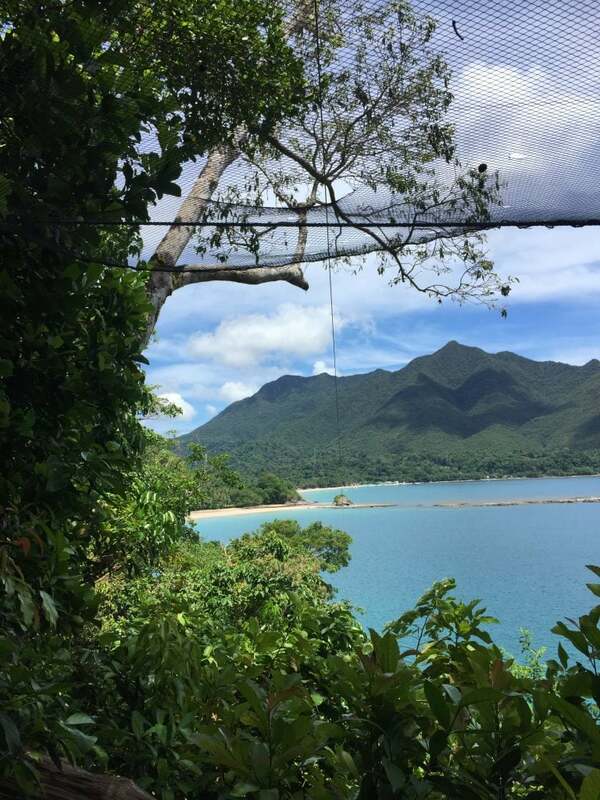 The view from the top of the zipline. My knees grew weak as I stepped up to the platform. I suddenly realized that I would be catapulting myself off a mountain, relying on a stretch of fabric and a hook to keep me from plummeting hundreds of feet below. I stared off at the little hut the zipline led to — it looked so far away. Fear began to settle in me. 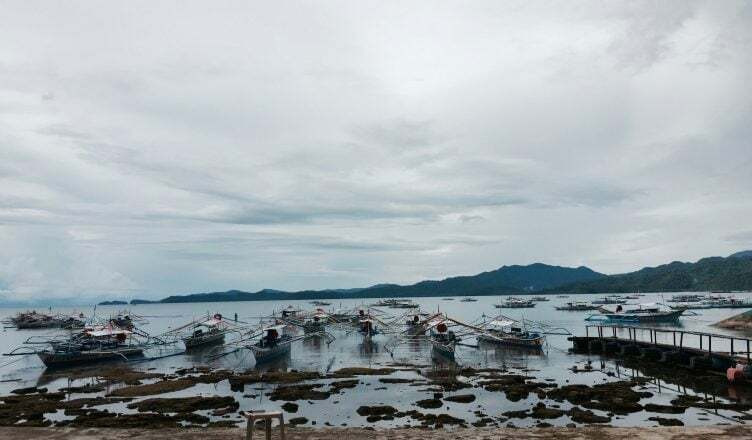 This was my first time to Palawan, and though my stay in Puerto Princesa was short, it was an amazing introduction to the beauty of the islands. I was able to experience it in extremes — from its deepest depths to its highest heights — and challenge myself and my fears along the way. Getting to encounter what I consider one of the most beautiful places on Earth with my own eyes is an image I won’t forget. Inspired by my recent trip to the Philippines, Tales of a Philippine Life is a weekly column exploring culture, family, mindsets, home, and more. If you’d like to read the other pieces in this column, please visit http://ucsdguardian.org/category/lifestyle-2/. If you’d like to see more pictures of my trip, check out @storiesnstills on Instagram.